Here at CoCo’s Style we love answering your hairdressing questions, so we thought we’d pull the most frequently asked ones together for you in one convenient blog post. Q: How do I curl my hair with GHDs? Professional tip: Alternate sections − one going forward and then one going back − for a fusion of curls. A: We recommend short hair is cut every 4-6 weeks while long hair is best every 6-8 weeks. Remember, fringe trims are always complimentary at CoCo’s. Q: How do I get rid of split ends? A: Split ends occur where the end of a hair strand is damaged, which results in the strand separating into two or more. Split ends sadly cannot be repaired and the only way to get rid of them is to cut them off. 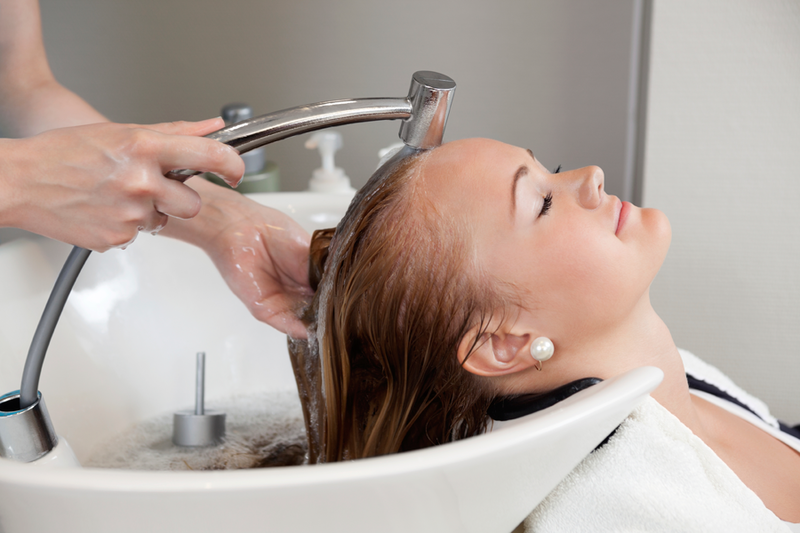 Professional tip: Rinsing your hair with colder water will help to seal the hair’s cuticles and ends, plus adding a glossy shine to your locks. Q: When should I wash my hair after a colour service? A: Ideally wait 72 hours as colour is more likely to fade in the first few days, so shampooing your hair too early will rinse the colour away and fade it faster. We recommend Paul Mitchell Colour Protect range. If you’re investing in colour then it’s worth investing in the right shampoo too as it will make it last longer. Q. How do I avoid colour fade? A: Avoid hair straighteners if possible. Always use heat protection, as heat may open the hair cuticle and cause quicker colour fade. Use slightly cooler water with vibrant tones. Q: Should I blow dry my hair straight from the shower? A: It’s best to towel dry it really well first. Then apply your hair products when your hair is around 75% dry. You will notice more bounce at the roots as your hair begins to dry, plus you will achieve a more salon professional look in a fraction of the time! Q: How do I achieve more volume? A: Avoid washing your hair every day and use a dry shampoo on day two. This will absorb any oil on your roots and instantly give you more volume that will last the whole day long without leaving a powdery residue. Yes, vinegar will balance out the ph of your hair and leave it feeling soft and shiny afterwards. But it does smell! Remember to direct the dryer down your hair − a nozzle on your dryer will help, ruffling up and scrunching it will make it frizzy. Egg yolks were used as a mask to nourish and moisturize the hair. Repair damaged hair with Moroccan Oil. Argan oil is naturally high in fatty acids and vitamin E, making it a fabulous treatment for damaged hair. Hair becomes damaged from the use of styling products, blow drying and straightening, and the weather, as well as environmental factors, like air conditioning and heating. Beer was always used to give hair more body. Today’s choice: Paul Mitchell, Ex-body Shampoo. This has the same effect (if not better) without leaving you smelling like a brewery. It gives the hair a fuller feel and texture.